Vestil HD Pipe Grab PG-C-045 3.50" to 4.00" O.D. Cast Iron Pipes 450 Lb. Cap. Designed to help with Leveling Loads for Overhead Crane Hoisting. Heavy-duty attachment is designed for lifting uneven, awkward sized loads with your existing overhead lifting device. 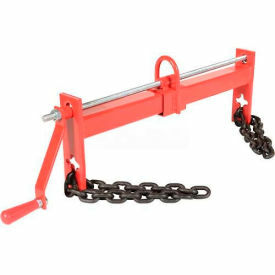 Bail positions are easily adjusted by turning the hand crank. 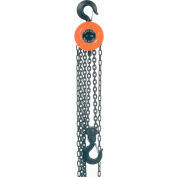 Lifter includes two chains for connecting the load (connector links and hooks are not included). All steel construction with a durable enamel finish. 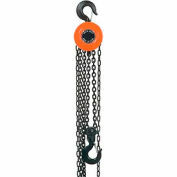 Distance between lifting chains is 20".